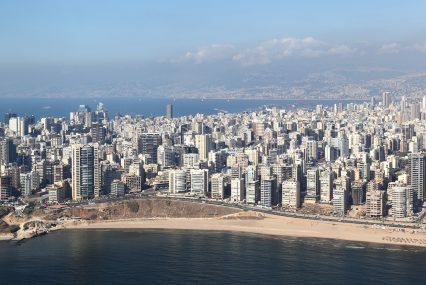 The Lebanese Credit Insurer (LCI) has launched a new insurance product for SMEs. Under the name Tajer, the solution is described as a “simplified trade credit insurance policy” to support SMEs in growing their business while being guaranteed payment for the goods and services they supply. In a statement, LCI says the launch comes as businesses in the Middle East and North Africa region, especially SMEs, are facing a growing risk of payment defaults. “SMEs make up a major part of the Mena region’s economy, and in Lebanon they comprise an estimated 80% of companies. Yet, only a small percentage of them are covered against the risks of non-payment,” says Karim Nasrallah, general manager of LCI. The insurer’s existing Trade Protect product already insures companies’ trade receivables, but the policy only covers firms with a sales turnover greater than US$3mn. As such, Tajer is tailored for smaller transactions, targeting companies with a smaller sales turnover. “We found that there was a market need to cater for smaller businesses that are facing profitability and liquidity issues, exposed to the same default risk as the larger companies, but unable to properly manage a Trade Protect policy due to lack of staff or lack of means,” Nasrallah tells GTR. LCI brands Tajer as simplified in that it involves less policy management, including minimal reporting required, and lower fees. The underwriting process will also be quicker and mostly automated, with SMEs being able to apply for cover online. To begin with, the policy will cover only domestic sales, but is due to be rolled out in several regional and international markets over the coming months. LCI hopes the new product will give more SMEs the confidence to look at new opportunities in their local markets and abroad. With trade credit insurance they will be able to extend better payment terms to clients and also negotiate better borrowing terms with their banks.